If the world were flawless, everybody would have a perfect set of sparkly teeth. The only care we would have needed would be regular brushing and flossing. However, this is not reality. There are many treatment choices available to bring back the whiteness or preserve the teeth’s natural whiteness. Dental Sealants is one of those. Dental sealants are plastic materials built to shield the teeth, especially the molars and premolars. The sealant is placed on the chewing surface of the teeth to prohibit plaque and acids from penetrating the enamel. Since most of the food grinding happens on the premolars and molars, it is easy for food particles to gather in the pit and grooves, which can cause tooth decay. Flossing and brushing occasionally can help eliminate the debris and bacteria, but not entirely. Sometimes having a sealant is necessary to shield those spots that your toothbrush bristles cannot reach. Sealants are generally preventive measures against tooth decay. The process of applying them is simple and painless. Before application, the dentist will thoroughly clean your teeth. Once the sealant is on, it automatically sticks to the tooth enamel, and blue curing light will help seal harden the sealant into position. The dentist can perform the entire procedure in a single appointment. Dental sealants are safe and have no side effects, regardless of the age of the patient: adult, teenager, or child. Like every other procedure, it has its pros and cons. The application of sealants takes only a few minutes per tooth. Once the tooth is clean, the process is straightforward. Sealants are effective. Research has shown that sealants can reduce the risk of cavities in 6-year molars by up to 80 percent. The percentage is 60 for 4-year molars or higher. Dental sealants can last up to 10 years after initial installation. You can have it replaced at any time. Dental sealants may not be the best option for some kids. Some children are not susceptible to tooth decay as others, which may be a result of better oral hygiene routine. The material used in sealants contain fragments of the chemical bisphenol-A or BPA. Some studies have associated this chemical with few health conditions. The American Dental Association mentioned that the drawbacks are insignificant in contrast to the advantages of using sealants. Getting dental sealants is not absolutely necessary. You can avoid it by maintaining proper oral hygiene. The American Dental Association (ADA) suggests that you eat more healthy food and reduce quick snacks. Also, ensure you schedule regular visits to the dentist. The dentist will give you suggestions on what you should do to keep your health healthy. Any problem will also be detected in time before it escalates. 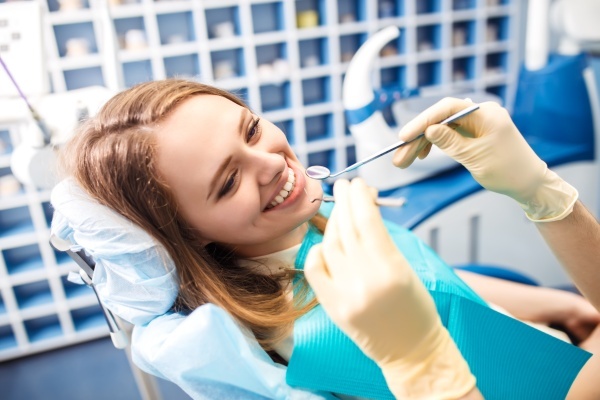 For more information or to schedule an appointment with Gentle Family Dentistry: Mark D Jones DMD, request an appointment in our Warren dental office here: https://www.gentledental4u.com. Or call us at (330) 394-7462.